Spacious holiday home for max 10 people in nature park, 2 separate apartments. The property consists of 2 complete floors. Both equipped with private bathroom and kitchen. Ideal for large families or families. 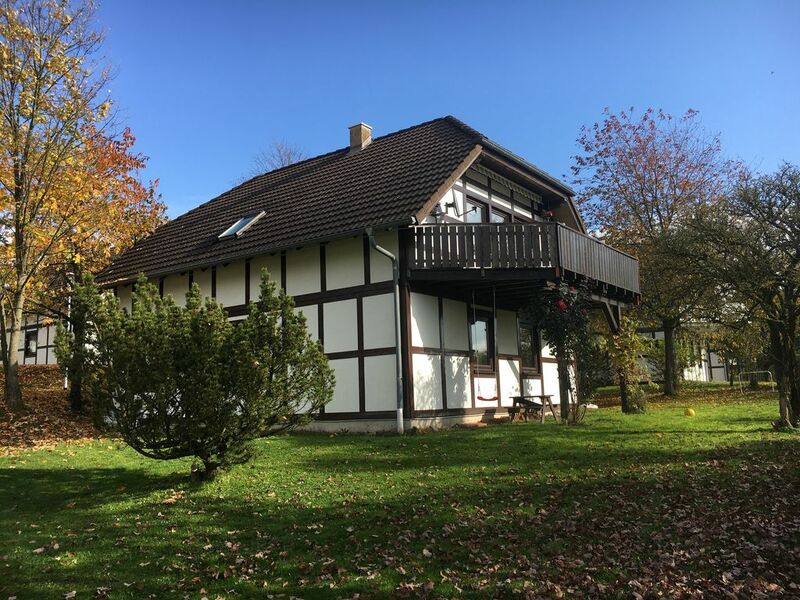 Our 4-season holiday home is located in the Feriendorf Frankenau next to the national park Kellerwald-Edersee near the town Frankenau. Directly from the house and in the immediate vicinity there are numerous possibilities throughout the year for hiking, skiing, mountain biking and Nordic walking in beautiful nature. Horse riding is also possible. With Willingen and Winterberg at 40 min drive also ideal for winter sports. The house can accommodate 10 people and has a new and modern interior. The kitchen is fully equipped and fully equipped. In the sitting area is a TV with channels in HD quality with a DVD player and a cozy wood stove. There are 6 modern chairs around the large dining table. A high chair and camp bed are available. The house has a spacious garden with lots of sun and shade options. The house is located on the village Frankenau with all kinds of amenities.